I am a cider fan and have tried my fair share, but Mad Mille &quot;Apple Cider&quot; is a taste sensation on its own. An almost BRUT style beverage with a subtle apple flavor, it is very palatable and very (very... very) easy to drink. My very first brewing experience with the kit was easy and not very complicated... just need to make sure your fermenter is kept at the right temperature (in brisbane, a dark space on ceramic floor tile is ideal) and let the magic do it's thing. Now while writing this review, I have almost drank 2 x 750ml bottles of cider and OMG!! (enuff said). Just made some cider with this kit over the weekend and was very surprised how easy it was! Cider replacement kits for homemade apple cider. Use with your Cider starter kit and this gives you with everything you need to make your next batch of Apple Cider. 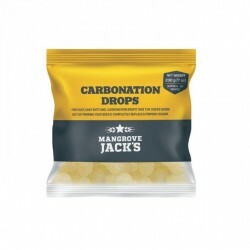 Packet is past its BEST BEFORE Date however should still produce a satisfactory end product.This..
Use Mangrove Jack's Carbonation Drops for fast, easy bottling. Carbonation Drops take the guess wor..
Shatterproof, reusable plastic PET bottles designed specifically for home brew.750ml capacity. ..